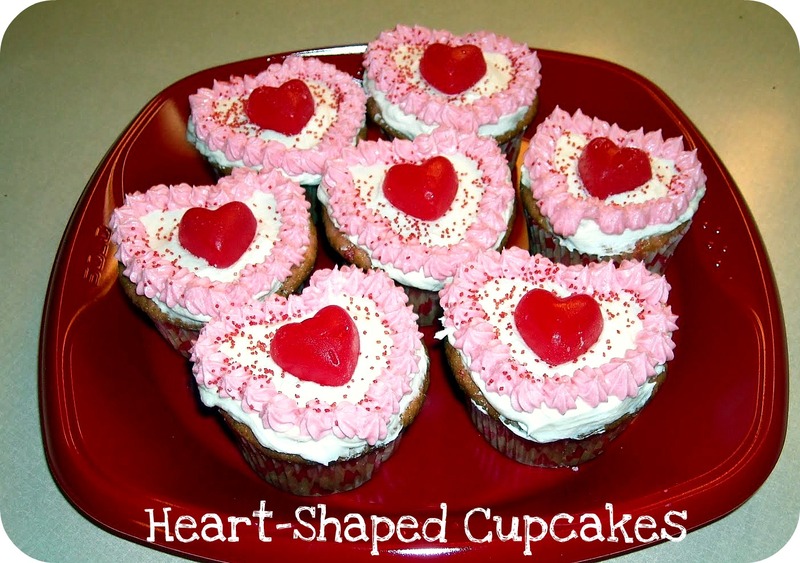 You can now make your own heart-shaped cupcakes without the price of the fancy pan! Make your cupcake batter according to directions on the box of the cake mix (or homemade recipe). Place the cupcake liners in your cupcake tin. Fill the liners about 2/3 full. Do not overfill or it will lose the heart shape while baking. After filling the liners, place a marble between the liner and the pan. Your cupcake will take on the shape of a heart. Bake according to directions on the cake mix box. Cool completely and decorate them anyway you wish. My kids love frosting their own and adding candy and sprinkles. Marbles can be purchased at the dollar store. I’ve even used the marbles from my kid’s board games – they work great. If you don’t have marbles, you could roll up small balls of aluminum foil. Need a yummy frosting recipe? This Perfect Buttercream Frosting is my favorite! They look so lovely and yummy ! I love that tip - thank you so much! So super cute! I have got to try this for the holiday! Thanks for sharing! You are a genius!! I love this idea! This is so clever! It's one of those "I can't believe I never thought of this" ideas. I am your newest follower! This is such a cute blog! Thanks! My twin sister and I are just starting a blog at welovebeingmoms.blogspot.com! We will be back on Saturday to link up! GENIUS! Thank you for sharing ?